Roaring Brook Press, 9781596430532, 32pp. Laura Vaccaro Seeger is a New York Times best-selling author and illustrator and a two-time winner of the Caldecott Honor Award, winner of the New York Times Best Illustrated Book Award, the Boston Globe/Horn Book Award for Best Picture Book, and a two-time winner of the Theodor Seuss Geisel Honor Award. She is also the recipient of the Empire State Award for "Body of Work and Contribution to Children’s Literature". Laura grew up on Long Island, New York, with her parents, Vera and Phil, brothers, Billy and Tommy, sister Linda, and both grandmothers. She began drawing at two years old and never stopped. She earned her BFA degree at the School of Fine Art and Design at the State University of New York at Purchase in Westchester, New York. She then moved to Manhattan and began a career as an animator, artist, designer, and editor in the network television business. She created show openings and special segments for NBC and ABC for many years and won an Emmy Award for an opening animation for an NBC Special. Laura has been an artist and a writer for as long as she can remember and has always wanted to make picture books for children. In the fifth grade, she’d written an essay that stated with absolute certainty that she was born to make picture books. By that time, she had written and illustrated her own little library. Over the years, she continued to make books of all shapes and sizes, and several years ago, she decided it was time to try to get some of her books published. She was fortunate to have met her editor, Neal Porter, almost immediately. 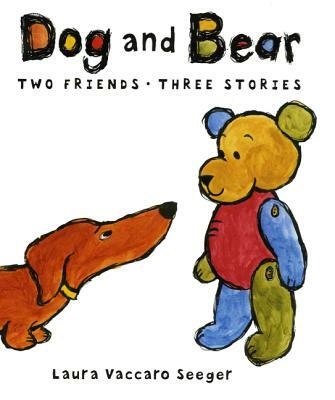 Laura lives in Rockville Centre, New York, with her husband Chris, their two sons, Drew and Dylan, and their dog Copper, the star of her "Dog and Bear" series. She loves painting, writing, surfing, boating, tennis, running, playing the piano, and spending time with her family and friends. She takes long walks at the beach each day and paints in her studio each night.